Blackstone Group, world’s largest private equity firm, has pulled back on a plan to invest billions of dollars across Africa, the latest US investor to temper its ambitions on the continent. 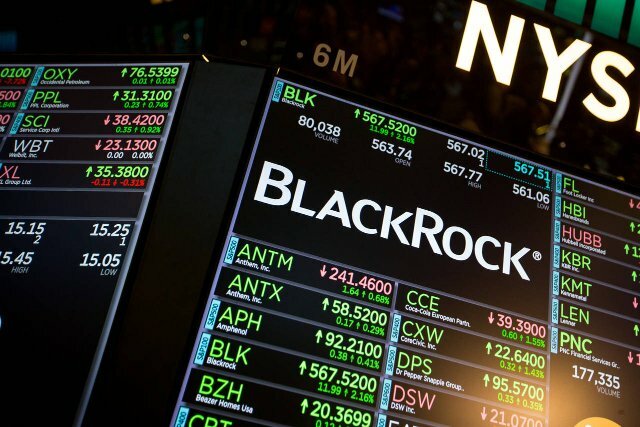 The New York-based firm agreed about a year ago to sell Black Rhino Group, a developer of energy infrastructure projects that was meant to be Blackstone’s main vehicle for investing in Africa, back to its management team for an undisclosed amount, a Blackstone spokeswoman said. The sale, which has yet to close, hasn’t been previously reported. Around the same time, Blackstone also sold the rights to develop and operate a Nigerian power plant Black Rhino is planning for an undisclosed amount to Globeleq, a British company that owns power plants across Africa, the spokeswoman said. Blackstone acquired control of Black Rhino in 2014 in the hope of making a big push into Africa. During a Washington summit where then-President Barack Obama hosted African leaders, chief executive Stephen Schwarzman said Blackstone had teamed up with Nigerian billionaire Aliko Dangote to invest in energy projects Black Rhino would identify and build. However, Black Rhino didn’t find large deals that Blackstone wanted to finance, according to people familiar with the situation. Competition from Chinese companies was a factor that complicated at least one of Black Rhino’s proposed projects — a plan for a 340-mile fuel pipeline linking landlocked Ethiopia to the sea. Chinese companies built a new railroad capable of transporting fuel along the same route. US private equity firms have struggled to complete successful large deals in Africa. In 2017, New York-based KKR disbanded its African deal team and sold its only asset there, an Ethiopian rose farm, saying there weren’t enough big companies on the continent to buy. In 2016, Boston-based Bain Capital lost control of South African retailer Edcon Holdings to lenders in a debt-for-equity swap. Blackstone’s past investments in Africa include construction of a hydropower dam on the White Nile in Uganda. In October, Blackstone started a company called Zarou with plans to invest in renewable energy projects in the Middle East and North Africa. Black Rhino was created in 2012 by Brian Herlihy, who previously led a successful project to build a submarine broadband cable linking Africa to Europe and Asia. Herlihy had worked on African projects with Bruce Wrobel , an American executive who had close ties to Blackstone and initiated the US firm’s work on the Ugandan dam. When Blackstone acquired control of Black Rhino in 2014, it hired Mimi Alemayehou, formerly an executive at the US government’s Overseas Private Investment Corporation, as chair of Blackstone Africa Infrastructure and as a Black Rhino managing director. Former Nigerian central bank chief Lamido Sanusi was hired to chair Black Rhino . Blackstone planned to use its main private equity fund and an energy fund to invest in Black Rhino’s deals. Black Rhino doesn’t disclose how much money — if any — it invested in African projects, and the Blackstone spokeswoman declined to say. A spokesman for Dangote declined to comment. Sean Klimczak, a Blackstone executive who worked closely with Black Rhino in the beginning, is now spearheading a planned $40bn Blackstone fund focused on building US infrastructure. The fund was announced when President Trump visited Saudi Arabia in 2017. Blackstone in December 2017 sold the rights to develop and operate a gas-fired Nigerian power plant Black Rhino is planning to Globeleq, according to a Globeleq spokeswoman. Globeleq has been funding Black Rhino and the power plant project for the past 12 months, according to people familiar with the situation. Globeleq is controlled by CDC Group, a British government-owned company that has been investing in Africa since the 1940s.